Low Inventory, High Sales Numbers, Great Median Price, All in June on Seattle’s Eastside! On Seattle's Eastside, we're starting to see the seasonal creep up in listings we see in most summers. However, we still have far fewer homes on the market than we usually do. In 2012, there were about 400 more homes for sale than this past June. 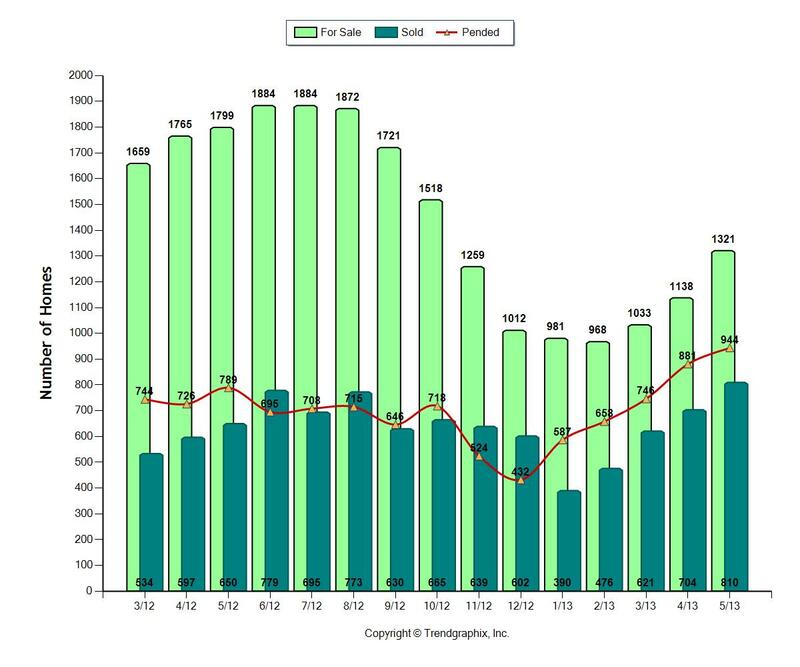 Our inventory is so low, that it would've only taken 1.5 months to sell all of the available homes for sale if no other homes had come on the market in June. The supply is low, considering the number of buyers out there hoping to buy a home. Home sales increased in June from May, but at a slower rate than in previous months this year. The number of sales was not too shabby, though, as 60% of the available homes sold. A very healthy, brisk rate of home sales, but slower than the 75% that sold in April. 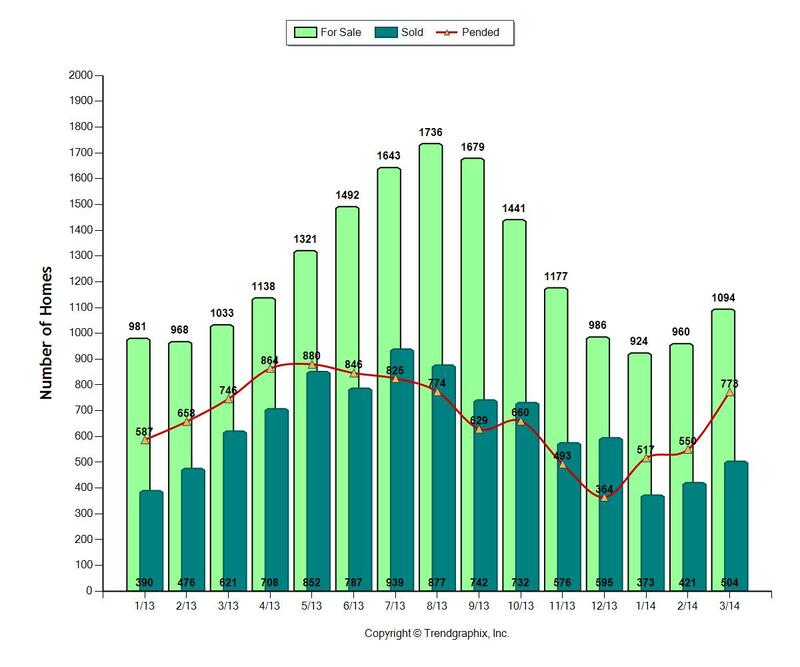 However, pending sales were at the highest they've been since 2005, another significant milestone! Homes were gone in a flash. 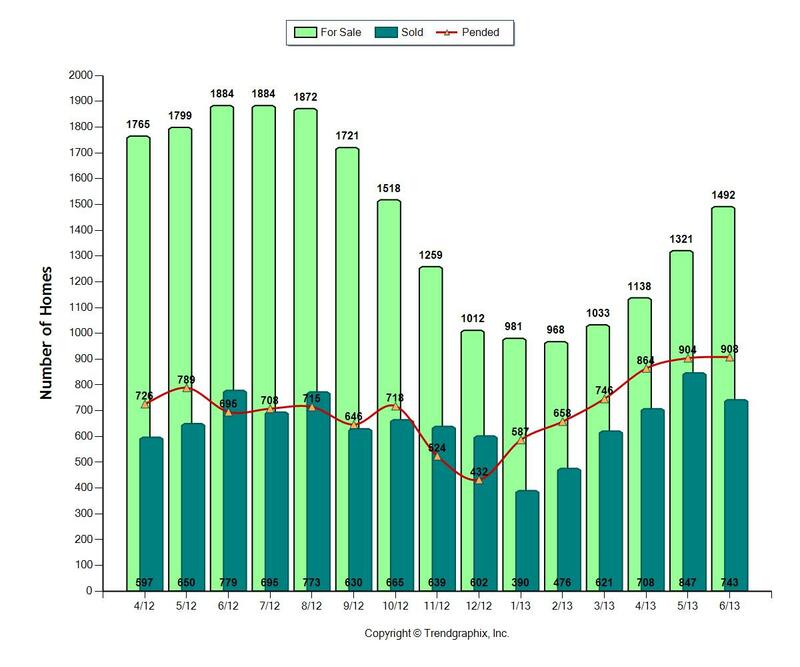 It took only 38 days to sell homes in June! It was not that long ago that it could take 3 months to get a home sold. (Think 2011). The big news is median pricing crossed the threshold to $600,000! As pricing continues to climb, fewer sellers will be underwater and more homes should be coming on the market. 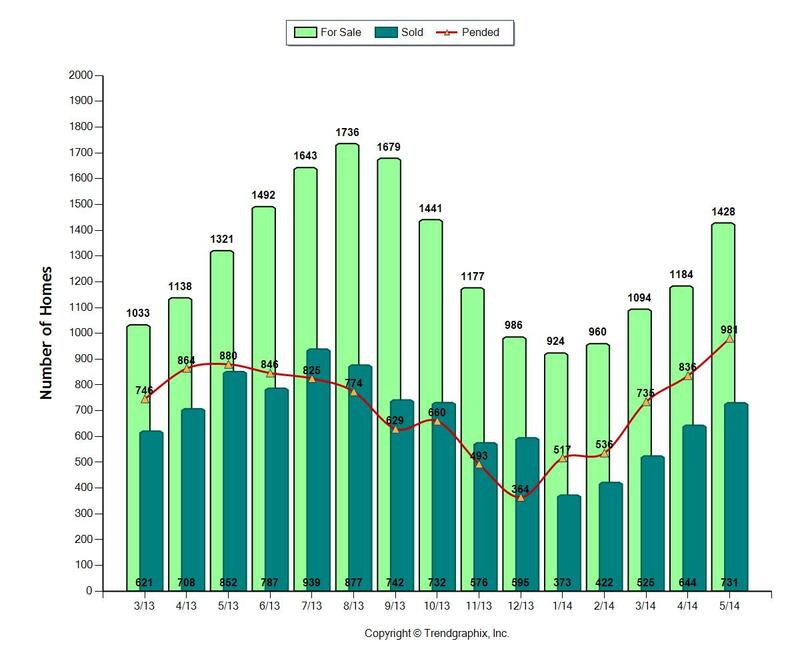 60.9% of the available homes sold this past June, 37% sold in June 2012. 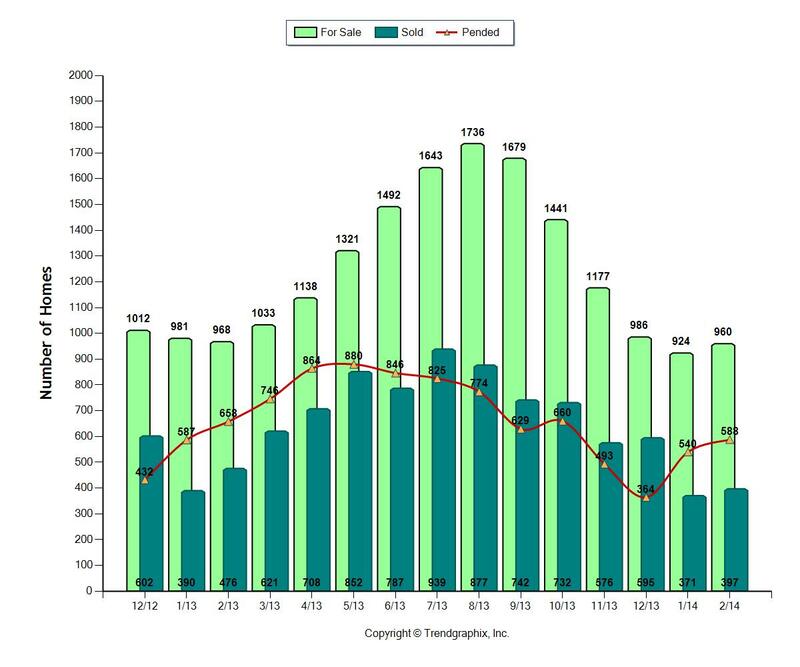 Homes sold in 38 days, down from 72 days in June, 2012. In 2012 median pricing in June was $514,000. In 2013, June's median pricing was $600,000! Seattle Eastside real estate continues with its frenzied, fast pace. Sellers could not ask for anything better than the market we have on the eastside this year. 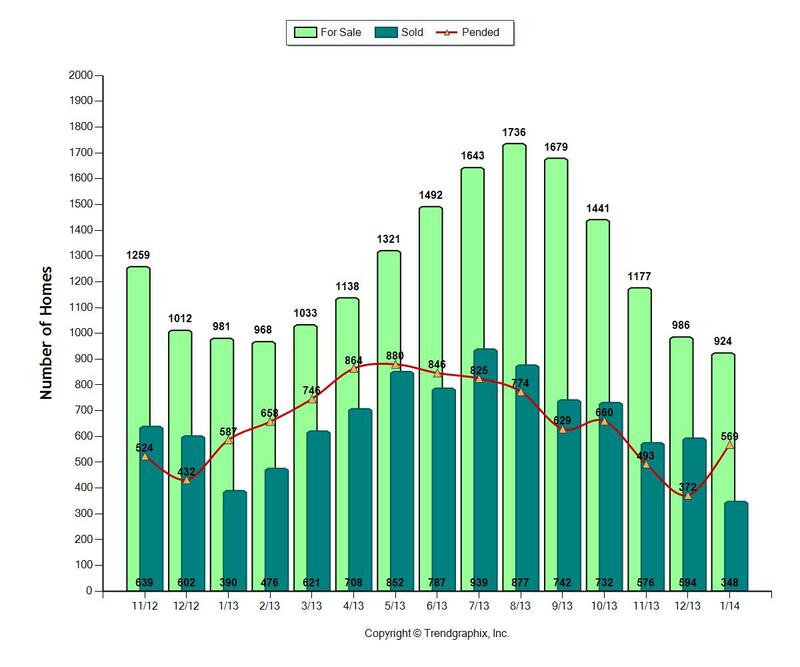 If no other homes were to come on the market, it would only take two months to sell all the homes that were for sale in May, when 71% of the available homes sold. 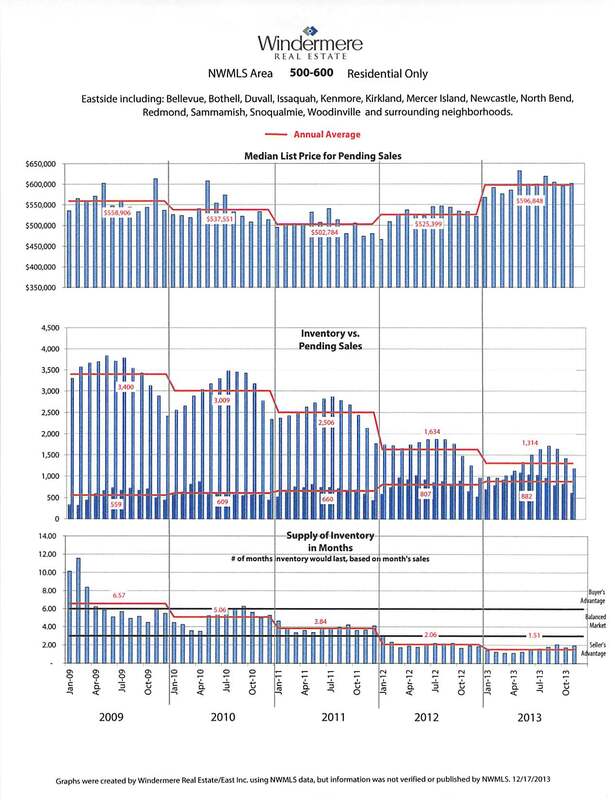 Most homes sold at the asking price, with many selling over full price because of the demand with multiple offers. As typical of the late spring and early summer, more homes are coming on the market, but the supply is still incredibly low. We're far below the supply in May, 2012, when there were almost 500 more homes for sale. This year, the pace of the sale has kept up with the increase in listings. 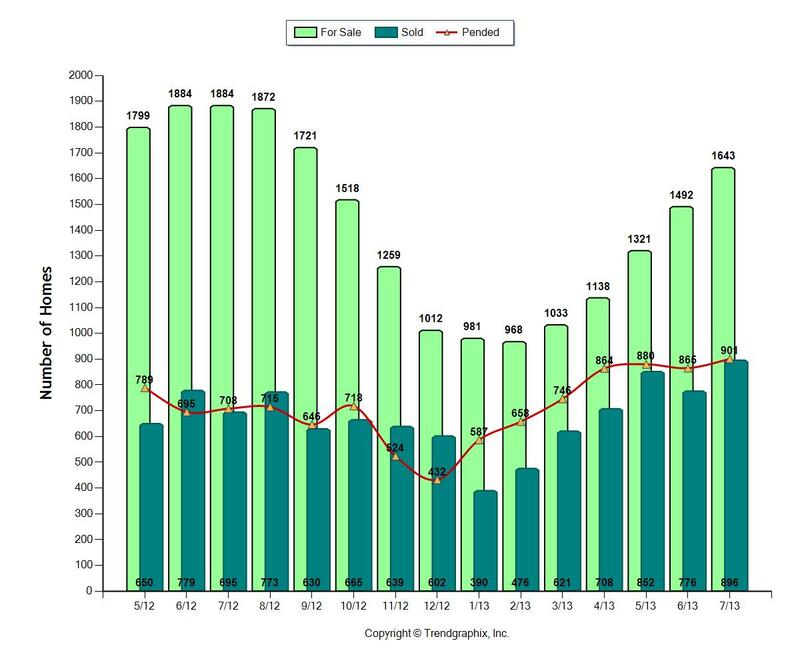 The number of sales per month has increased from 587 in January to 944 in May. 71.5% of the available homes sold this past May, 41% sold in May, 2012. 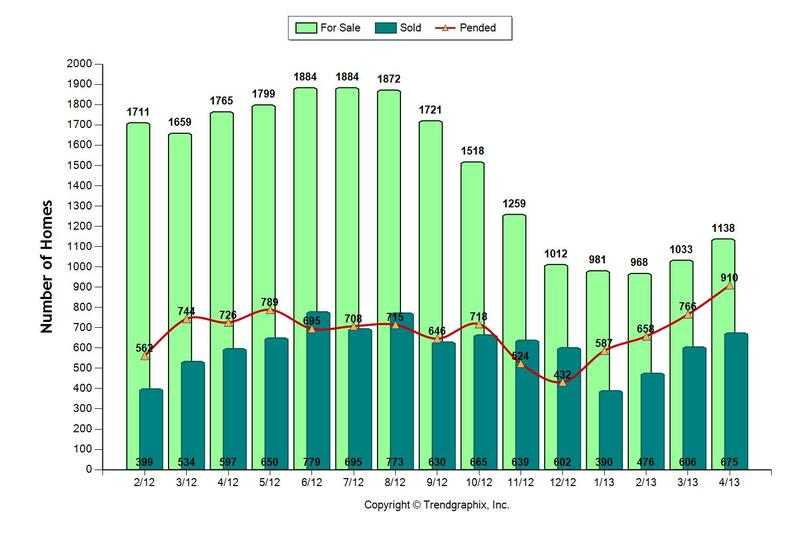 Homes sold in 41 days, down from 74 days in May, 2012. 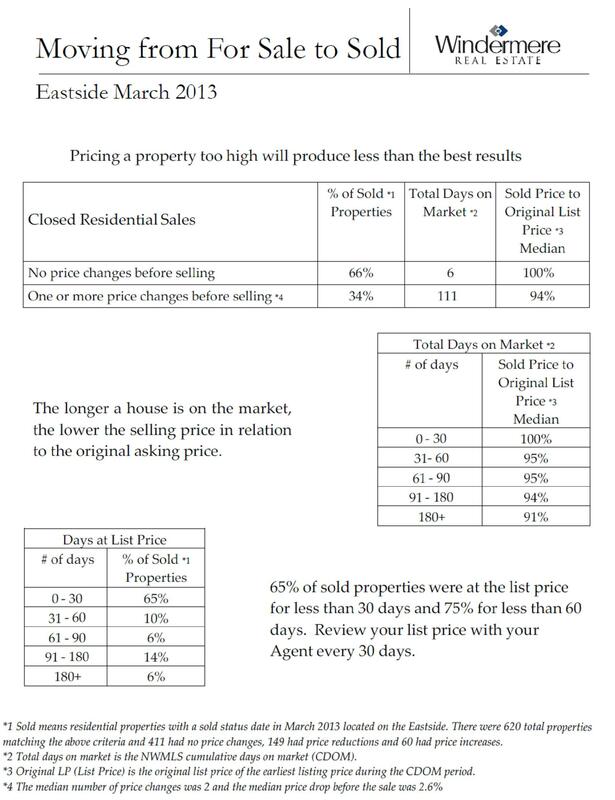 In 2012 median pricing in May was $500,000. In 2013, May's median pricing was $565,000.